Over 20 million Americans wear dentures today. Some people lose their teeth due to gum disease, others because of trauma or tooth decay. Regardless of the reason for your tooth loss, dentures can drastically improve your smile as well as your oral health. 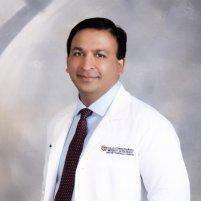 Dr. Akmal Ahmed of Healthy Smiles of Orlando in Lake Mary, Florida, helps patients feel and look their best. He and his staff can customize dentures for your dream smile. Call today or schedule an appointment online for a consultation. Dentures are removable appliances that restore your smile by replacing missing teeth. Dr. Ahmed typically recommends dentures if you have a periodontal disease or cavities that have advanced to the point where tooth extraction is the only option. After Dr. Ahmed removes your remaining teeth and your tissues heal, he fits a fully-removable denture in your mouth. The healing process could take several months. Dr. Ahmed inserts a removable denture on the same day he removes your remaining teeth. He takes measurements and makes models of your jaw during a preliminary visit. You don’t have to be without teeth during the healing period, but you may need to have your dentures adjusted or remade after your jaw fully heals. Sometimes Dr. Ahmed can save some of your teeth to preserve your jawbone and provide stability and support for your new dentures. An overdenture fits over a small number of your remaining natural teeth, which function similarly to dental implants. Losing all your teeth causes your facial muscles to sag, giving you an aged appearance. Dentures, however, fill out your face and can be made to resemble your natural smile, so your appearance doesn’t change significantly. Plus, they allow you to eat and speak better. How should you care for your dentures? What should you expect after getting dentures? It’s normal for your new dentures to feel awkward for a few weeks while your cheek muscles and tongue learn to keep them in place. It’s not unusual to experience minor irritation and soreness at first. You might also notice an increase in saliva flow. As your mouth becomes accustomed to your new dentures, these minor issues should go away. Dr. Ahmed and his staff recommend scheduling follow-up appointments so he can check the fit of your dentures and adjust them if necessary. Call Healthy Smiles of Orlando or schedule an appointment online to see if dentures are the right option for you.